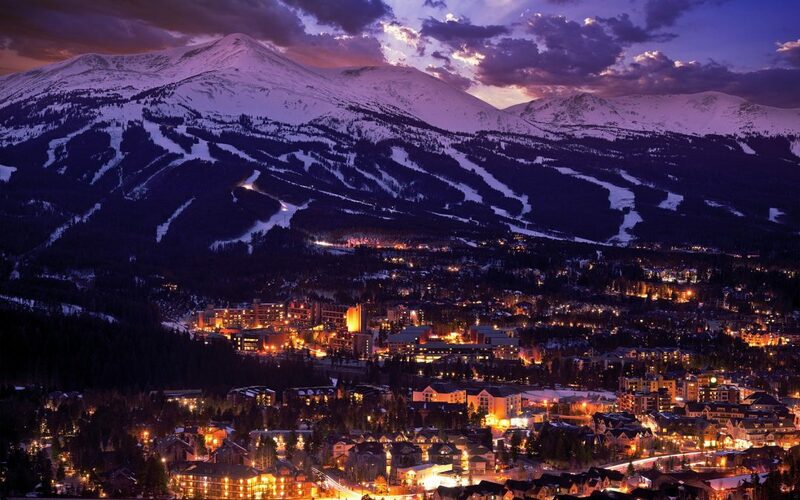 What’s better than taking a ski vacation in Breckenridge, Colorado? 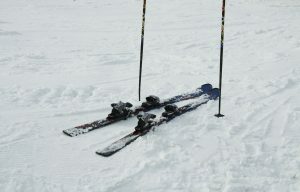 Enjoying an affordable ski vacation in Breck! But how do you find the least expensive options for your trip? It will take some research and some time, but if you know the right places to look, it can make the process that much simpler. As such, we’ve put together a quick guide that can help you get started with your planning process. 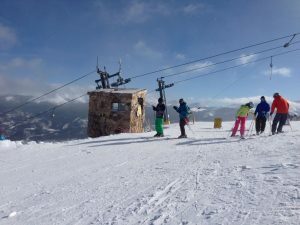 We want you to have an easier time finding the most affordable options that you should take into consideration as you put together your next Breckenridge ski trip. If you’re flying in from out of state, you’ll need to consider how you’ll get from the airport to Breckenridge and back again. Most likely, you’ll fly into Denver International Airport. The good news is that there are several airport shuttle companies that provide regular service to and from the airport. A shared shuttle with point-to-point service is almost always the cheapest way to go. With this type of service, you share a shuttle with others going to the same destination and the shuttle drops you off at a central location. In Breckenridge, that’s typically the Breckenridge Transportation Center. It’s quite easy to get around town without a car thanks to the town’s free shuttle system. At the time of this writing, most point-to-point shuttles to Breckenridge are priced in the $40 to $50 range (for adult riders). 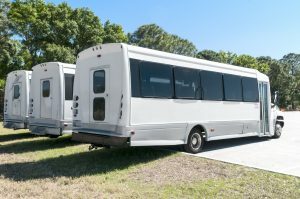 You can learn a little more about some of the local shuttles available by visiting our Breckenridge Airport Shuttle page. If you love skiing or snowboarding, then you already know that lift tickets can make up a large part of your vacation budget. And the more days you plan on spending on the slopes, the more your lift tickets will cost. First things first, you should always avoid buying lift tickets at the resort. You will pay the most if you buy them directly from the lift ticket window. If you’ve booked lodging with us, you can take advantage of our negotiated discounted lift ticket rates. But even if you haven’t booked with us, there are still some other options to consider. City Market, a local grocery store, frequently has discounted lift tickets available. On occasion, Costco and REI members may also be able to take advantage of discounted prices on lift tickets. Availability at these other retailers will vary, but it’s always worth checking out during your search for more affordable lift tickets. It’s advisable that you call them in advance to ensure they have the tickets you want. For visitors who are flying into Colorado, it can be particularly difficult to bring along skis or snowboards due to the extra baggage charges and other inconveniences. Happily, we’re able to offer our guests discounted ski or snowboard rentals through local companies. There are other options for discounted equipment rentals for those who haven’t booked lodging with us, but finding the best deal with take some time. You’ll find several equipment shops in town that offer discounts if you reserve your gear online in advance of your stay. In addition, there are others who offer reduced rates for multi-day rentals. 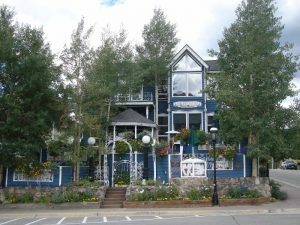 Vacation homes or condos are great lodging choices for your Breckenridge ski vacation as they help you get the most bang for your buck. If you’re traveling with a group, you’ll find that most rentals provide additional sleeping accommodations, like sleeper sofas and Murphy beds, which help to defray the lodging costs even more. While larger, luxury homes may seem cost-prohibitive, many are quite reasonable in price when you factor in the number of guests the property can accommodate. Even better, vacation homes and condos have kitchens. With a kitchen, you can cook your own meals instead of relying on restaurants for all of your dining needs. Buying some groceries for your stay is far more affordable than eating out two to three times a day. Some of your options for local grocery stores include City Market, Breckenridge Market & Liquor, and the Local Market. Having your own kitchen also makes it easy for you to make snacks or lunch to bring along with you for your time on the slopes. Slopeside dining can be extremely expensive, so if you’re looking to cut costs, that’s definitely one expense to eliminate. As you might expect, lodging in Breckenridge will be more expensive around Christmas, New Year’s, Martin Luther King, Jr. Day, and President’s Day. Some properties may also charge more during Spring Break, typically from mid- to late-March. You’ll usually be able to save the most money by booking a ski vacation early or late in the season. During some years, the mountains continue to get lots of snow well into April, which means that the ski season will be extended longer than normal. Above all, though, stay as flexible with your dates as possible. Being flexible could mean that you have the opportunity to take advantage of discounted lodging due to things like last-minute cancellations. 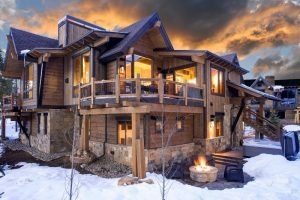 While it may be super convenient to stay in a ski-in/ski-out vacation rental, the fact of the matter is that it’s going to cost you. Pretty much, the closer a vacation home or condo is to the slopes, the more expensive it will be. As we previously mentioned, though, it’s very easy to get around Breckenridge thanks to the town’s free shuttle. You’ll find that most rentals are on or near the free shuttle route, so it may just take you a short walk and a shuttle ride to get to the slopes. In many instances, you can save even more money on lodging by opting to stay in nearby Dillon, Frisco, or Silverthorne. Lodging in these towns is usually cheaper than those options in Breckenridge proper. But, of course, you’ll need to take a drive or a shuttle ride to get to town and/or the slopes. On the bright side, though, there is free shuttle service between these towns and Breck. Dining can be a pricey part of a ski vacation. We don’t recommend eating out a lot if you’re trying to stick to a budget. But, sampling the local restaurants and cuisines can be an especially fun part of traveling. Thankfully, Breckenridge has its fair share of Happy Hours that offer great deals on food and drink. The Blue River Bistro has two Happy Hours every day, from 3 to 6 p.m. and 9 p.m. to midnight. Just head to the bar area to take advantage of two-for-one appetizers and martinis. At Mi Casa, from 3 to 6 p.m., you can enjoy wing, taco, and drink specials while you tuck into complimentary chips and salsa. The Motherloaded Tavern offers drink specials and $5 food specials every day from 3 to 6 p.m. Another great choice for Happy Hour is Hearthstone, which features cocktail, beer, and wine specials and $5 small plates of unique offerings like crispy Colorado goat cheese and sesame beef wontons. This list is by no means exhaustive. There are lots of restaurants in town with Happy Hour specials as well as a number that serve tapas or small plates. If you can’t find what you’re looking for, ask a local. They’ll be able to suggest their favorites and point you in the right direction.